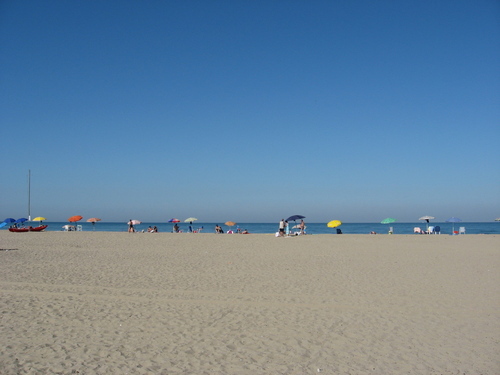 The Beach of Marina di Vecchiano is approx. 55 km from the Agriturismo I Pitti and it is one of the most beautiful beaches of Tuscany. At the end of the highway A11 driving towards Pisa, exit Pisa Nord, turning to the left just after the highway exit, you will find the indication to Marina di Vecchiano. This is a beach quite different from the other one, with beautiful sand dunes. It is located in the middle of a Natural Park, it belongs to the Municipality of Vecchiano and it has organized portions of beach where you can rent sun umbrellas and laying chairs, as well as free beaches. There are also some bars on the beach where you can have a snack, or even have lunch or dinner. This beach is not mentioned in the maps and is known only by local people. Gallery | This entry was posted in For Kids, Miscellaneous, THE SEASIDE, Uncategorized and tagged Seaside. Bookmark the permalink.